(Bloomberg) – When Tony Blair and Boris Johnson unite in their condemnation of the “deal” under which Theresa May proposes that the U.K. should leave the EU, you know something has gone badly wrong. The withdrawal agreement is less a carefully crafted diplomatic compromise and more the result of incompetence of a high order. I have friends who are passionate Remainers and others who are passionate Leavers. None of them believe this deal makes any sense. It is time to think again, and the first step is to reject a deal that is the worst of all worlds. To be sure, no coherent plan has ever been presented. There are arguments for remaining in the EU and arguments for leaving. But there is no case whatever for giving up the benefits of remaining without obtaining the benefits of leaving. Yet that is exactly what the government is now proposing. It simply beggars belief that a government could be hell-bent on a deal that hands over £39bn, while giving the EU both the right to impose laws on the UK indefinitely and a veto on ending this state of fiefdom. Former Brexit secretary Dominic Raab tells Sky News if Prime Minister Theresa May's Brexit deal is rejected by MPs "we should go back to the EU, stop being blackmailed and bullied and make our best offer and be willing to walk away"
It saddens me to see the Bank of England unnecessarily drawn into this project. The Bank’s latest worst-case scenario shows the cost of leaving without a deal exceeding 10% of GDP. Two factors are responsible for the size of this effect: first, the assertion that productivity will fall because of lower trade; second, the assumption that disruption at borders — queues of lorries and interminable customs checks — will continue year after year. Neither is plausible. On this I concur with Paul Krugman. He’s no friend of Brexit and believes that Britain would be better off inside the EU — but on the claim of lower productivity, he describes the Bank’s estimates as “black box numbers” that are “dubious” and “questionable.” And on the claim of semi-permanent dislocation, he just says, “Really?” I agree: The British civil service may not be perfect, but it surely isn’t as bad as that. The UK is a European country, and always will be. Trade and contacts among the nations of Europe can and should continue much as before. And I have no doubt they will do so. But the political nature of the EU has changed since monetary union. The EU failed to recognise that the euro would demand fiscal and political integration if it was to succeed, and that countries outside the euro area would require a different kind of EU membership. It was inevitable, therefore, that, sooner or later, Britain would decide to withdraw from a political project in which it had little interest apart from the shared desire for free trade. 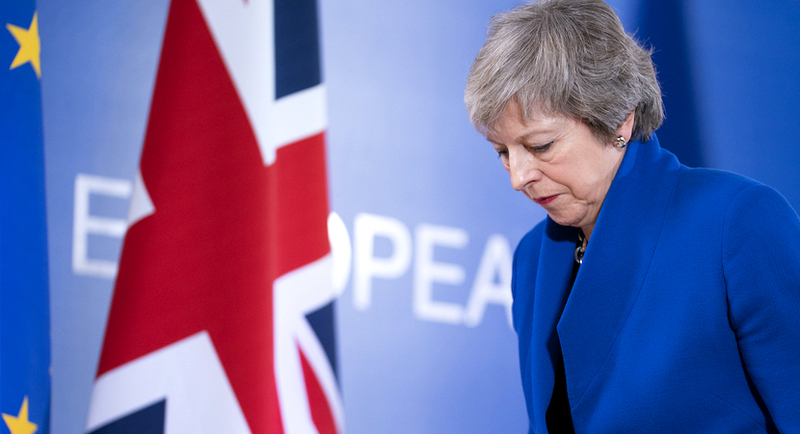 If this deal is not abandoned, I believe that the UK will end up abrogating it unilaterally — regardless of the grave damage that would do to Britain’s reputation and standing. Vassal states do not go gently into that good night. They rage. If this parliament bequeaths to its successors the choice between a humiliating submission and the abrogation of a binding international treaty, it will not be forgiven — and will not deserve to be. Mervyn King, a professor at the New York University Stern School of Business, was governor of the Bank of England for a decade, beginning in 2003.